Hi! We're back with another Me Moment. Today we'd like to talk to you about the Vista drawing table. 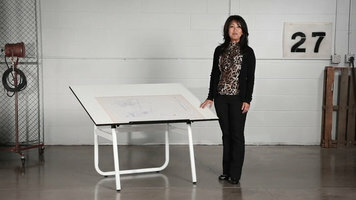 Enjoy a better view with Safco's Vista drawing table. This table is constructed of sturdy, lightweight tubular steel and durable, 3/4" melamine in white, giving you a beautiful work surface to be at the top of your game. It's easy to access nubs make it a breeze to adjust your Vista to the perfect working height and angle without any tools. This is perfect for your home and office, providing a perfect work area for all of your projects. With Vista, you'll have a view from the top when it comes to all of your drafting needs. This has been another Me Moment. Please join us again to find out about how Safco can help you work hard and play harder. Drafting is hard work, but with the right work space, it can be more comfortable than ever. The Safco Vista drafting table is designed for long-lasting reliability and adjustability when drafting; simply change its height and angle to best suit your needs. Perfect for drawing, stenciling, and working on other creative endeavors, the Safco Horizon drawing table folds down for compact storage, tilts to a 50 degree angle, and adjusts in height to suit your needs. Before your next big project, update your work space for optimal convenience. 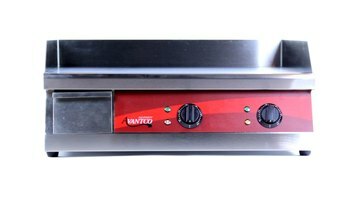 This video describes the features of the Avantco EG24 countertop griddle, an indispensable piece of cooking equipment! Discover if this griddle is right for you, and also learn some tips for proper cleaning.